•	Juggling Paradox – The fancy term is “managing polarity” but the lessons come from dealing with the day-to-day realities of life and work; from fender benders to broken hearts. Add multiple kids, each with their own “weather system” and a desire to be understood, and it can get very interesting very fast. You can try to have it all, but just not at the same time. How well do you juggle? •	You get what you give – This is about as simple as it gets, and yet it’s easy to drop the ball by taking for granted those closest to you. Be present, take a genuine interest in those who look up to you, give them your time and your attention. Whether they’re your children, your friends, or your co-workers, if you want their support (or their love) show them you genuinely care. •	Good Judgment – When my oldest daughter was three years old her mother and I took her to Disneyland for the first time. We started off with a double-header of the Haunted House and the Pirates of the Caribbean rides. Yes, there were a few nightmares following that adventure. Should we have only done the It’s A Small World ride? Maybe. Good judgment comes from experience, and experience sometimes comes from bad judgment. 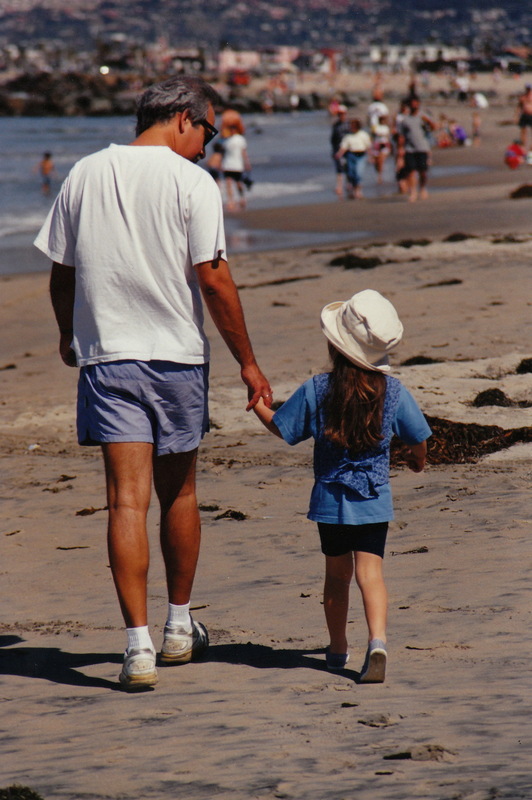 •	Be Inspired – One of the surprises of being a dad are the array of people and experiences our kids bring into my life. We’ve all been on an adventure together over the years, the mutual enterprise of our family, and we’re committed to enjoying the journey. Why be part of anything if it doesn’t inspire us? •	Action with Purpose – I see myself as a fairly spontaneous, go-with-the- flow kind of person. Being a dad taught me that a purpose, with a plan, is a powerful combination when moving others into unchartered territory. Plant your stake in the ground and declare your intentions. Your audacity combined with preparation can inspire confidence. •	It Takes a Village – From my supportive extended family, loyal friends, colleagues, and especially my phenomenal wife and partner, I would never have had even partial success as a dad without their help and encouragement. Humility is a hard-earned lesson that keeps us grounded in the universe, and makes us both better leaders and better fathers. •	Legacy – When I was a kid one of the topics of conversation among my pals was “What did your dad do in the War?” (That would be World War II.) It was a way for our tribe of eight year olds to understand how we fit into the larger world. We all want to be remembered. It’s a desire as old as time fueled by the conundrum of mortality. Being a dad reminded me that doing the right thing when no one was watching – integrity – mattered most to those I loved the most, and how I want to be remembered. Knowing the right thing, and living it, has been the biggest lesson of all. Being a dad means that your children are paying attention to how you operate in the world, on their behalf. Fatherhood, like leadership, is a balancing act and not for the feint of heart. Yet it’s as rewarding an adventure as one could hope for; shaping the future by serving others and discovering ourselves in the process. Here’s wishing all you dads out there a very Happy Father’s Day. Posted in News | Bookmark.